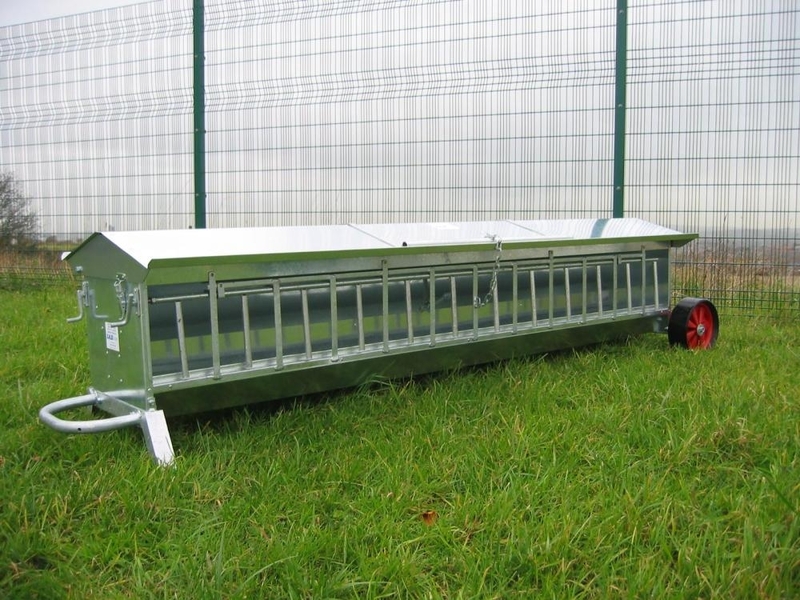 Galvanised Lamb Creep Feeder. 8ft. Long 24 Feed spaces. 234 Litre capacity hopper. 460mm wide body X 650 high. Adjustable feed lader on winder mechanism, complete with lift up easy exit side ladders to help reduce instance of head trapping. 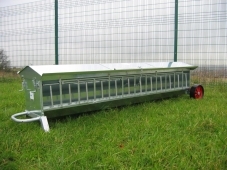 715mm extra wide lid, per galvanised sheet body, hot dip galvanised attachments and 250mm dia. plastic wheels. Delivery charges for this product will depend on your location, quantity ordered and may be free. Please email for details.